Rev. Louis J. Goulette, CSV, died Jan 2, 1919 at St. Mary of Nazareth Hospital in Chicago of complications from an attack of influenza. He was 39. Fr. Goulette was born Jan. 8, 1879 in Hancock, MI. After attending his parish school, he was admitted to the Viatorian novitiate in Chicago in 1894. Fr. Goulette professed his first vows on July 3, 1897, before renewing them on Jul. 4, 1902 and making his perpetual vows on Jul. 4, 1907. During these years, he had been completing his academic and college studies, and pursued theology at St. Viator College in Bourbonnais. On May 25, 1907, he was ordained to the priesthood by the Rev. Archbishop James E. Quigley at Holy Name Cathedral in Chicago. For several years before his ordination, Fr. Goulette also worked as a teacher of vocal and instrumental music at St. Viator College, as well as serving as its choir director. The numerous musical events and functions, however, began to wear on his health. In 1909, he was sent to the newly founded Columbus College in Chamberlain, SD for a period of rest. Fr. Goulette was then recalled to Chicago as an assistant pastor at St. Viator Parish from 1911-1914, and finally at St. Edward Parish from 1914 until his death. A solemn requiem Mass took place at St. Edward’s and the Rev. Joseph E. Belair, CSV officiated. Fr. William Cleary, a classmate and loyal friend of Fr. Goulette, offered the sermon. Many parishioners of both St. Edward and St. Viator churches as well as his Viatorian confreres accompanied Fr. Goulette’s body to Maternity of the Blessed Virgin Mary Church in Bourbonnais where another Mass was celebrated by the Rev. Walter J. Surprenant, CSV. 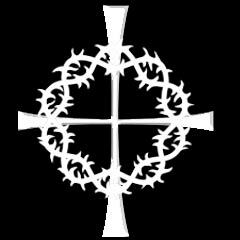 The absolution was given by the Rev. James F. Ryan, CSV, and the sermon by the Rev. 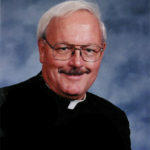 Eugene L Rivard, CSV, provincial of the Clerics of St. Viator. Fr. Goulette was laid to rest with his brothers in the Viatorian Community plot at Maternity BVM Cemetery. May the soul of this pious young priest, who taught children to sing God’s praises on earth, be now in bliss, singing the mercies of the Lord.